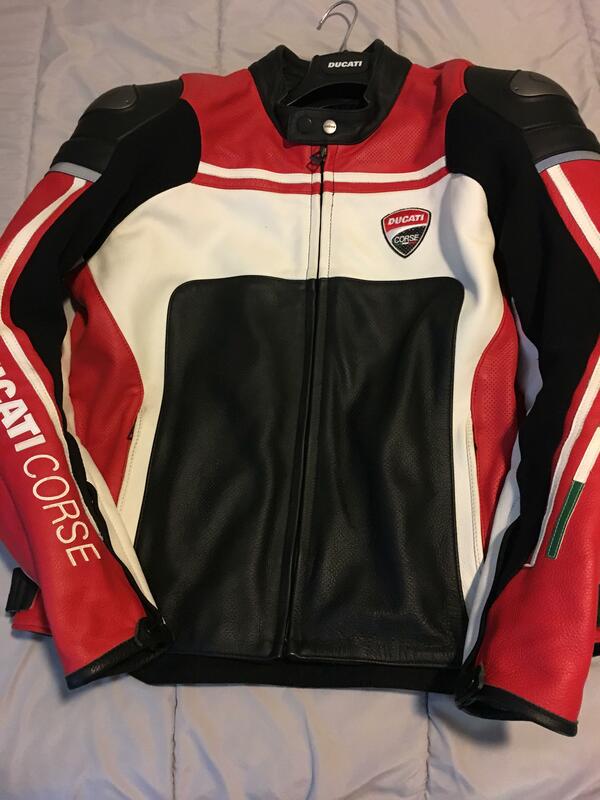 Brand new Ducati Corse by Dainese perforated leather jacket. Size 54. 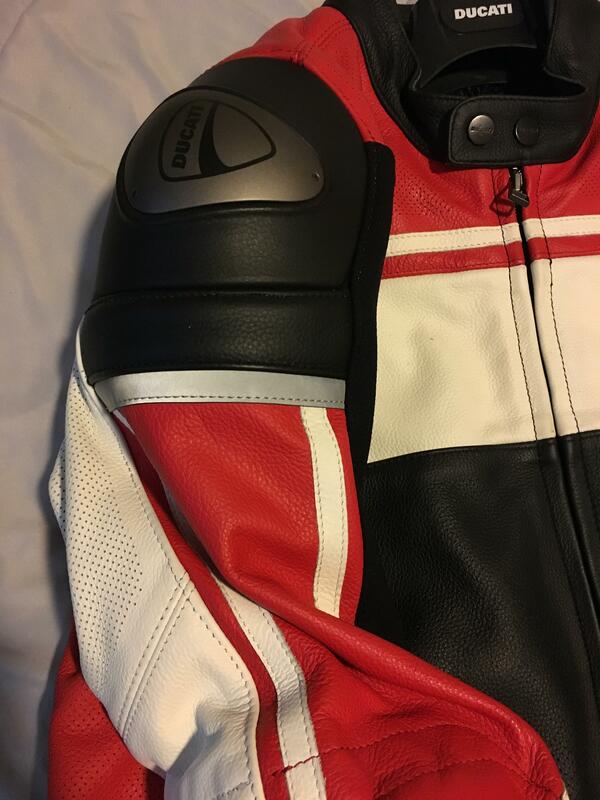 All the features you expect in a high end jacket: CE armor in the shoulders & elbows with Ti shoulder plates. Stretch panels in the arms & sides. 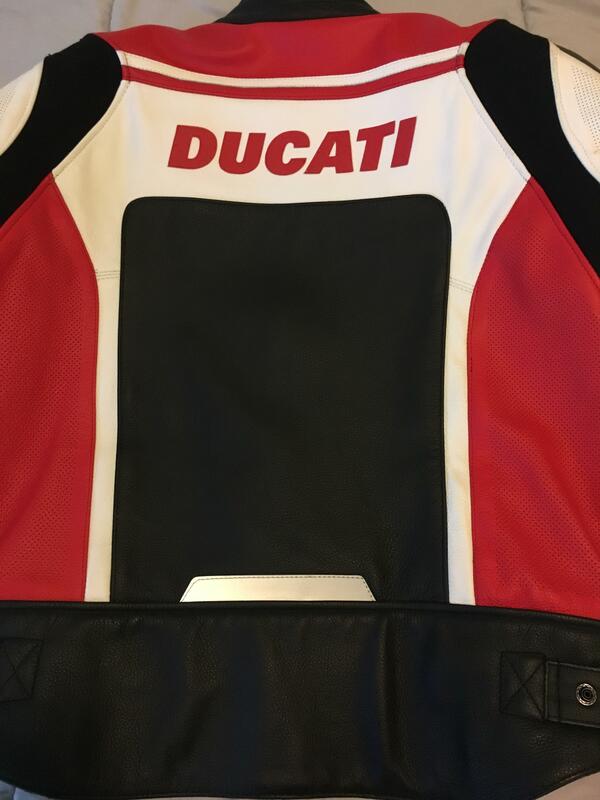 Full zip to attach to Dainese pants. 3D bubble liner to keep you cool & dry. ready styling and safety features in a jacket that is ready for the street. Corse leather jacket is a must. To the top. $375 shipped to the lower 48 via GedEx Ground. 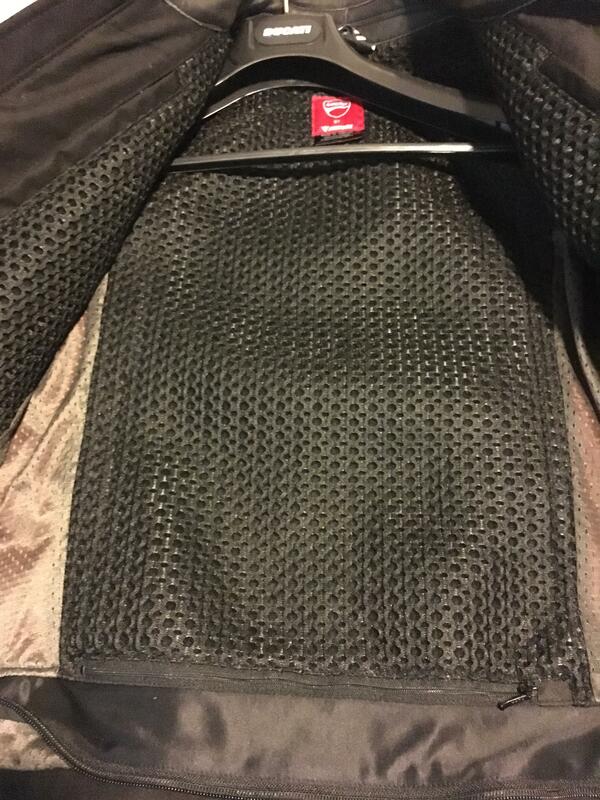 One more price drop to $350 shipped. To the top. Final markdown to $325 shipped or $300 cash if you are local & can pick up.